My head is always in the clouds. Story of my life. Still not sure if it's a good or a bad thing, but I know that thats where I get my creativity from... often feeling whimsical and in a daydream. Cute look! I've always been kind of wary about wearing dresses and skirts during Winter because it gets SO cold in Chicago. I may have to reconsider my choices. :) I see floral head crowns is starting to make a bit of a comeback. Such a pretty dress, you look beautiful! Thats the way it should be. You look absolutely lovely! 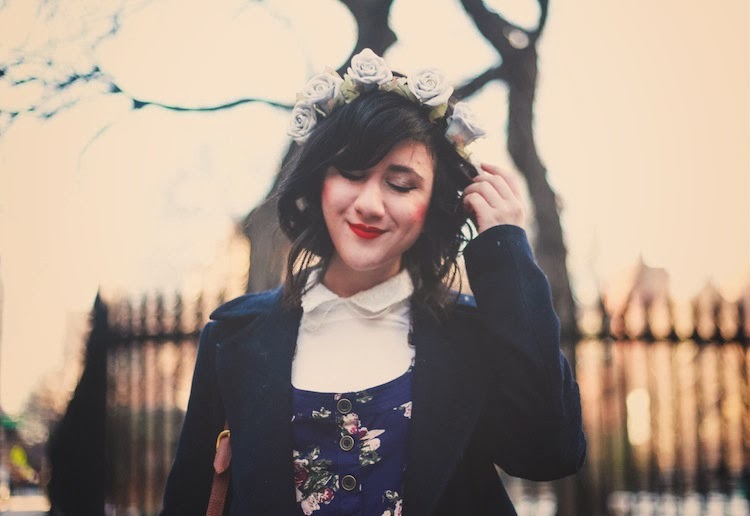 love your flower crown! so pretty. and the floral pattern on your dress is so cute! So cute! I want that dress!! Such a great flower crown! Seriously adorable Bonnie! Love that the flower crown is going strong in the winter! So pretty, i love that dress! 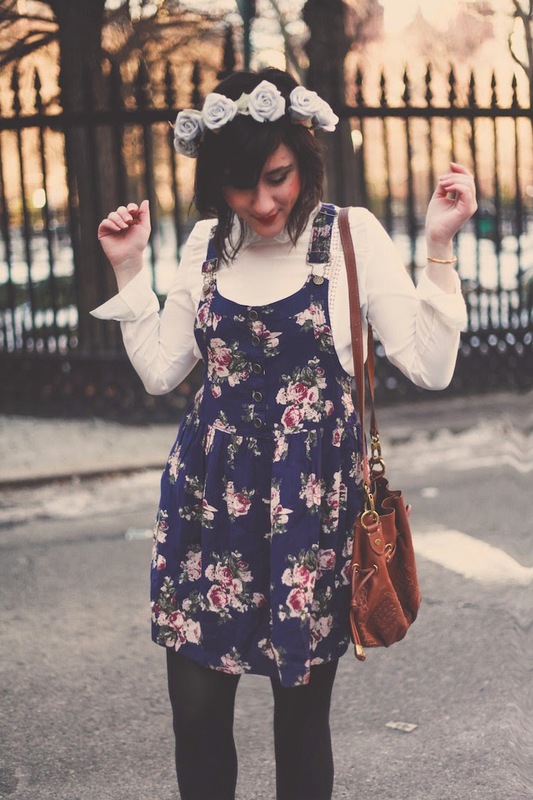 Aw this floral pinafore dress is the absolute cutest thing! I can see it being really great in the spring too. 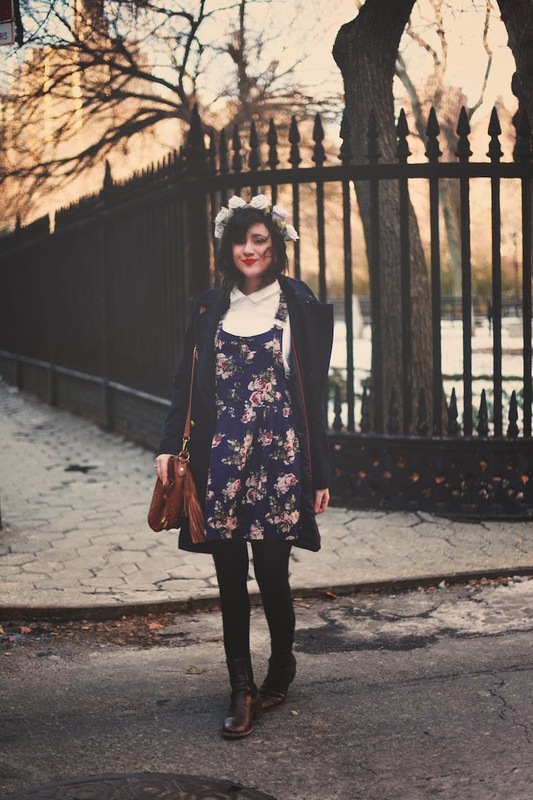 Your makeup looks pretty, your floral crown is a beauty and your Urban Outfitters dress is adorable. The shape, colours, and floral print are very pretty. You look relaxed and happy with your head in the clouds. Daydreaming is wonderful. Love your pinafore so so much, it's way too cute!! Join $100 Jollychic Giveaway on my blog!! I come everyday on your blog since at least two years now :) Your outfits are very casual and you're an everyday inspiration for me!